Servo Motor Repairs across the USA. 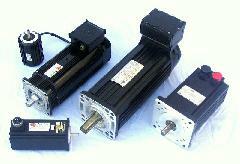 Servo motors, stepper motors, spindle motors and permanent magnet motors are used in almost every manufacturing plant. As factories automate, they are installing more intelligent motors on their production lines. These servo motors are complex to repair. There are many different brands, with multiple feedback devices, and different setups and alignment angles. You need a specialty servo motor repair company like TigerTek - we have factory trained technicians, tons of test equipment, OEM documentation and years of experience. Plus, with our local reseller relationships across the entire USA, we provide plants with skilled local support to get their servo motors reliably and rapidly repaired. 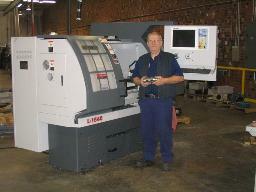 Santa visited TigerTek's machine shop and installed a shiny new CNC lathe. Our machine shop is a great choice for short-run, high precision parts. Our team of machinists can quickly fabricate replacement parts at affordable prices. We need orders to keep this new CNC lathe humming! Please give us a call, and we will give you a quote. 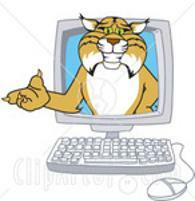 TigerTek has 3,763 different part numbers FOR SALE on our website (all major brands)! "Our line voltage is unbalanced. Can this cause motor problems"
Ideally your incoming line voltage will be exactly the same on all 3 phases (your utility company is required to keep it within 3%). But a 3% imbalance could increase the motor temperature by nearly 20% (if the motor is loaded). 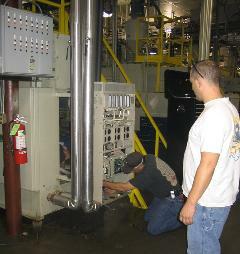 Heat could cause premature motor failure - so it's a good idea to try to prevent voltage imbalance. Mack McGuire is one of our Regional Sales Managers with responsibility for central NC and southern VA. He has been with TigerTek for 5 years and prior to that he worked in maintenance for 20 years, so he has first hand knowledge of plant operations. 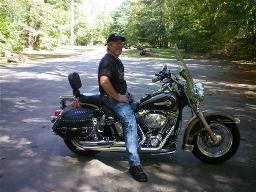 Mack is an avid motorcyclist (Harley Davidson, Heritage Softtail 2004) and he is also a talented guitarist and songwriter.